Einstein. Picasso. Mozart. And YOU. Puzzles, tips and brain games. Join the genius ranks. It can seem as though really clever people must be born different from the rest of us. Truth: they’re not. They’re just better trained. And if you want to write, paint, compose or count like a master, this book will get you in the habit. How? Clever hints and tips from real-life maestros show how they did it. Then brain-boosting puzzles, games and optical illusions tune up your mind. There’s a hidden genius inside you. Enough of the hidden. More of the genius. 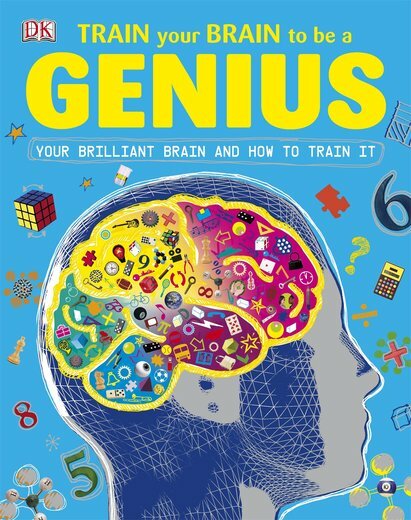 Fantastic book with lots of hints and tips on how to improve your memory and brain power, you can dip in and out and always learn something!